A deputy sheriff is responsible for enforcing local, state and federal level laws within a designated area. Becoming a deputy sheriff will allow you to serve the public through crime prevention methods such a s arrests, supervision of detainees and basic investigations. If you want to learn about how to become a deputy sheriff, here is all the information you will need to know. 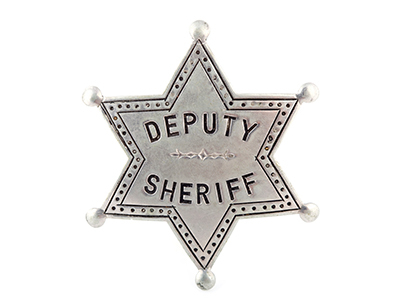 The first step in becoming a deputy sheriff is clearing your educational requirements. You will be required to have at least a high school diploma or equivalent. Depending on the state or county you are applying from, you might be required to give a civil service exam in order to get admission into a training program for deputy sheriffs. Even though it is not a necessity, but getting a 2-year associate degree or a 4-year bachelor’s degree in a relevant field would improve your employability chances. Relevant fields would include the likes of criminal justice, behavioral science, forensic science, law enforcement and management, psychology, and public speaking. In addition to that, you can always try and get an internship at the sheriff’s office while still in school. You must be a US citizen: If you are in the process of getting your citizenship, you can start preparing to become a sheriff, but you will not be able to run for the office until you have met this criterion. You must be more than 18 years of age: Even though the age limitation differs according to state, you must be at least 18 years of age to be able to apply for becoming a deputy sheriff in any state. You must live in the place where you want to become the sheriff: You can apply for a deputy sheriff position only in your area of residence. So make sure you plan accordingly. You must be in excellent mental and physical health: Since the job description of a sheriff would require him to endure a lot of psychological and physical strain, it is advisable to keep yourself in good shape before you apply to become a deputy sheriff. Stress management is one of the key factors for an aspiring sheriff. If you meet all the basic requirements discussed above, the next few steps would take you directly into training. Work in the Law Enforcement Sector: Upon graduation from the police academy, you should look for experience opportunities in the law enforcement department. Working at the officer level will help you gain valuable experience that will help you in your future job as a deputy sheriff. Different counties have different requirements in terms of field experience needed for a deputy sheriff. Some require minimum 5 years of relevant experience, while others might need only a year. Therefore, you are advised to check with your local county well in time. Certification and Licensure: Your state might also have a requirement regarding licensing and certification. This is typically tied to the amount of time you have worked and a series of tests created to test your potential as an officer. Leadership Opportunity: You might get the opportunity to lead a small department for some time. Take advantage of this kind of an opportunity and work on your leadership skills. These will come in handy as a deputy sheriff. Types of Work: Direct field work might not be the only kind of work experience you can gain when running for the office of sheriff. If you have experience in related other sectors, like the judiciary or as a lawyer, some of your experience requirements might be waived off in certain counties. Run for the Office of Sheriff: Once you have met the basic requirements, you can now officially apply for work as a deputy sheriff. This application would have some paperwork, including a background check, a physical fitness exam and an interview. Along with that, you will be required to clear a written exam that covers questions specific to the job you are applying for. Following this, you will need to file the relevant paperwork with your chosen county to have your name put on the ballot for sheriff. Some counties elect their sheriffs, while others simply appoint them. If there is an election, you will have to spend some time and energy on campaigning in your town. A Deputy Sheriff is involved in investigating illegal activities, driving patrol vehicles, taking control of accidents and crime scenes, detecting law violators, assisting accident victims, recording daily activities and ensuring that a proper legal framework is being followed in any activity being carried out. Having good speaking and listening skills along with the ability to think critically and have a good sense of judgment can help you perform your tasks better as a Deputy Sheriff. Credible sources on deputy sheriff’s salary are limited, however O*NET OnLine provides information on sheriff’s and deputy sheriff’s salary and job prospects. The above-mentioned salary figures are reflective of median wages (2016). The projected job growth rate covers the period from 2014 to 2024.